Yoga is a great way to increase your flexibility, lose a few extra pounds and improve your overall fitness. But when you’re first starting out, some of the positions can seem a little intimidating, especially if you haven’t exercised for a while. Thankfully, you can use a yoga block to help make some of the exercises slightly easier while you build up your strength and flexibility. This is just one of a number of yoga block uses that we’ll explore in this article. Whether you’re a complete yoga novice, or an experience yogi, the humble yoga block can be an excellent tool as you continue to learn and grow. Scroll down to continue reading through, or use the table of content below to jump to the most relevant section. Yoga props have become increasingly popular over the years, as yoga has started to appeal to a much wider audience. A yoga block, also sometimes called a yoga brick, is a rectangular shaped piece of strong foam, wood or cork. You can use it under your hands or feet during certain yoga poses, under your head, your back, or in between your legs. Build confidence – For those just starting out on their yoga journey, bricks can help to build confidence while you’re getting accustomed to certain yoga positions. 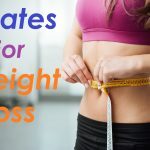 Increase endurance – Even if you’ve been practicing yoga for several years, they are good to use on days when you are feeling more stiff than usual, or if you want to stay in a pose for longer while getting a more effective stretch. Easing into new poses – They’re also useful if you’re trying a new and more challenging pose. 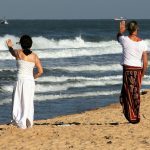 Some beginners are put off using blocks as they worry about looking like a newbie, but most experienced practitioners recommend them, a point nicely explained by Christine at Love Life Surf. 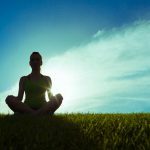 Ask a Yogini: Should I Use Yoga Props? Yoga blocks are available to borrow in many studios, especially if you are just starting out. But if you plan to practice yoga at home, you should consider buying your own. Yoga blocks can help you to get more out of the yoga poses that you’re doing. As we suggested above, they can improve your form, protect your posture, and aid in flexibility. Note that some of these yoga block exercises will require two blocks. Forward movements – During movements when you lean forward, a yoga brick will bring the ground up closer to you. An example is a forward fold, in which you lean forward and rest your head on the floor. If you’re not quite flexible enough to reach the floor, you can rest your head on the block instead. Another forward movement is triangle pose. Instead of resting your hand on your leg or on the floor, place it on the yoga brick so you still get a good stretch in your lower back. Head and neck support – You can rest your head and neck on the block while doing lying down positions such as corpse pose, fish pose and happy baby pose. If you have head forward posture, using a yoga block under your head will help your neck muscles to let go and relax. Sitting positions – Do you ever notice that when you sit on the floor for too long, your legs start to go numb? Sitting on a yoga block will prevent this from happening by elevating your hips off of the floor, taking pressure off of the sciatic nerve. A couple of sitting poses are child’s pose and mermaid pose. Back support – Properly supporting your back will help prevent hyperextension of the spine while you’re just starting out. Use a block underneath your sacrum with the bridge position to support the back. In chest opener, use two yoga blocks: one under your head, and one underneath your mid to upper back. While extending your arms out to your sides, this will give you a deeper stretch to the pectorals and anterior neck muscles. ween your legs and holding it in place with your thigh muscles. This will properly align your pelvis and stretch your spine. This is an excellent way to practice yoga at home. You can hold a yoga block between your legs while doing dishes, making supper or folding laundry, even if you don’t have time for a full yoga routine. If you’re taking a class, then your yoga instructor should be able to demonstrate the various yoga block uses to you. Seated Forward Bend: sit on a yoga block with your legs straight in front of you. Reach forward and touch your toes to stretch your hamstrings. Tight hamstrings can be a cause of lower back pain. Using a block will prevent your shoulders from slouching while doing this pose, and will make it easier for you to reach your toes. Another position for lower back pain is the back traction pose. Place the block underneath your hips, perpendicular to your body. Bend your knees so that your feet are under your knees. Walk your feet outwards, and then in again. This will help release tight hip flexor muscles. For upper back pain, you can use the yoga block during skyhook position. Lie face up with the block underneath your middle back. Arch your back and let your arms and top of your head rest on the floor. Next, lower the block to below your shoulder blades so you’re in a modified bridge position. The three main kinds of yoga blocks are: cork, wood, or foam. There are advantages and disadvantages to every type. Foam blocks tend to be the least expensive and this is what you will most usually find available in your local yoga studio, but it is work considering the other types if you are thinking of purchasing one for yourself. Click here for a convenient chart comparing the three types. Whichever kind of yoga block you choose, we recommend buying two to make the most out of these useful props. Wooden yoga props are good because they’re sturdy and will last a long time. Most wooden blocks are made from sustainable forest, and bamboo yoga blocks are the most renewable because bamboo grows fast and renews itself quickly. On the downside, a wooden block can be heavy, although more manufacturers are now making them with hollow centers to make them lighter. Wood has no ‘give’ to it, so it may not be comfortable for everyone. Wood is also the most expensive of the three. Some companies that sell wooden yoga blocks are: Halfmoon, Hugger Mugger, and The Yoga Warehouse. View the Hugger Mugger Bamboo Yoga Block on Amazon. There are many pros to using cork. A cork yoga brick is lighter and more environmentally friendly than a wooden one. It is more firm than a foam block, while having rounded edges for comfort. Using cork blocks for yoga is a good choice since cork has natural traction and won’t be slippery. One of the best cork blocks on the market is a Hugger Mugger cork yoga block. What sets them apart from the rest is the excellent quality of their products. The vision of their original founder was to ‘provide innovative, premium quality products’, and that is something the company still does today. Some cons to a cork block are: if your hands sweat while doing yoga, keep in mind that cork is porous and might absorb sweat or other liquids. This may cause the cork blocks to become smelly or even break down over time. Some advantages to using foam blocks for yoga are that they are the least expensive as well as the lightest. Foam blocks come in bright, fun colors and are easy to clean. Foam is very cushiony, making foam blocks very comfortable. For these reasons, many yoga studios use foam yoga blocks. A few cons about foam blocks are that they are the least sustainable, they wear out easily, and they can get slippery. Some manufacturers make their foam bricks out of chip or EVA foam. EVA is beneficial because it is soft, BPA free, and absorbs noise. A chip foam yoga block is made from recycled foam, making it better for the environment. View the Hugger Mugger 4-Inch Foam Yoga Block on Amazon. Extra-large yoga blocks – Not all people are the same size, and the yoga community respects that. You can use an extra-large block if the common sized blocks are too short or too thin for you. They’re about the size of a block and a half. Also, if you find that using 2 blocks is too much but 1 isn’t enough, then a larger block would work for you. Yoga blocks with handles – These were meant to save your wrists and prevent carpal tunnel syndrome. A block with a handle inside of it will keep your wrists properly aligned while you’re bearing weight on your hands. Ultimately, which ever type or size of block you choose, you’ll find creative ways to incorporate it into your practice. If you already a member of a yoga studio, you may be able to experiment with some of the different types to find one that suits you best. There are plenty of places to find yoga blocks for sale. 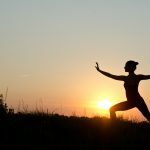 Sometimes your local yoga studio will sell them, but here are some websites to check out: Lululemon, REI Co-op, Hugger Mugger, and YogaAccessories.com. You can always look for them on Amazon and eBay, or Walmart or Target too. Purchasing a yoga mat and block set is a good idea, especially if you’re just starting yoga. Buying the two of them as a set is less expensive than buying them separately. Most sets come with two blocks, and will have the mat and the blocks in matching colors. 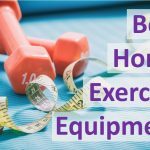 Many of the brands and outlets suggested above will sell a range of yoga props, so it’s worth finding a brand that you like and trust, as you may decide to buy other equipment from them in the future. 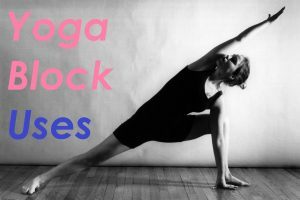 Hopefully this article has given you a good overview of what yoga blocks are used for, what the various types are, and where you can find one. If you want to get the most from your yoga sessions, you’ll benefit from practicing at home between sessions, and a yoga block can support you through some of the most difficult positions when perhaps a trainer can’t. There are many different yoga block uses, and it will continue to be an excellent aid to you as you become a more confident yogi and tackle more difficult poses. Remember; don’t be shy about asking your instructor how you can incorporate yoga blocks into your sessions to get the most from your workout.